Eggs have always been a staple in our home. We use them to bake, for breakfast and as a snack. It’s amazing how much we rely on eggs on a daily basis in our home. Before I really knew a lot about eggs and before I toured Burnbrae Farms, I always believed only in the things I heard. Today, I wanted to talk about some myths that I have heard about eggs and bust all of those myths you may have heard too. I had the pleasure of meeting some great ladies from the Hudson family and was able to tour Burnbrae Farms. I went in with my own beliefs about eggs and left with so much knowledge and a firsthand view about the egg industry. You can imagine my surprise when I learned all about the difference in organic eggs and just regular eggs–it may surprise you. Myth: You can tell the quality and freshness of an egg by the color of the yolk. Turns out, you cannot indicate the freshness of an egg based on the color of the yolk. The yolk is actually determined by what type of food the hen is fed. Myth: Hens lay more eggs because they are fed hormones or steroids. Although it’s a legitimate worry, using steroids in egg-laying hens has actually been banned in Canada for over 50 years! Myth: More than an egg a day is not okay. This myth couldn’t be further from the truth. Eating an egg or more a day will not increase your risk for heart disease. Myth: Brown and white eggs have different nutritional value. There is no difference in nutritional value between brown and white eggs. The breed of chicken is the only thing that makes an egg white or brown. Nutritional Value of the Egg. I love this myth busting stuff for eggs. It’s really cool but, it’s kind of sad to see what people believe still believe about eggs. I want to yell from the roof tops, EGGS ARE AWESOME, PEOPLE! They really are. Now that we’ve busted a few myths on eggs, let’s talk about their nutritional value. Eggs are a great source of protein! You could eat them every day for breakfast and get lots of protein for your day. In fact, having one a day is not only delicious but, beneficial. I love pre-boiling eggs and grabbing them for a quick snack or on-the-go breakfast. Eggs are also a part of a healthy diet and there are so many ways to make eggs healthy. You can use them in salads, make egg salad, or even make scrambled eggs. It’s kind of hard to make eating eggs unhealthy. Eggs are low in carbohydrates, so you’re good to go on that issue too. If you love learning about the nutritional value of eggs, join us! 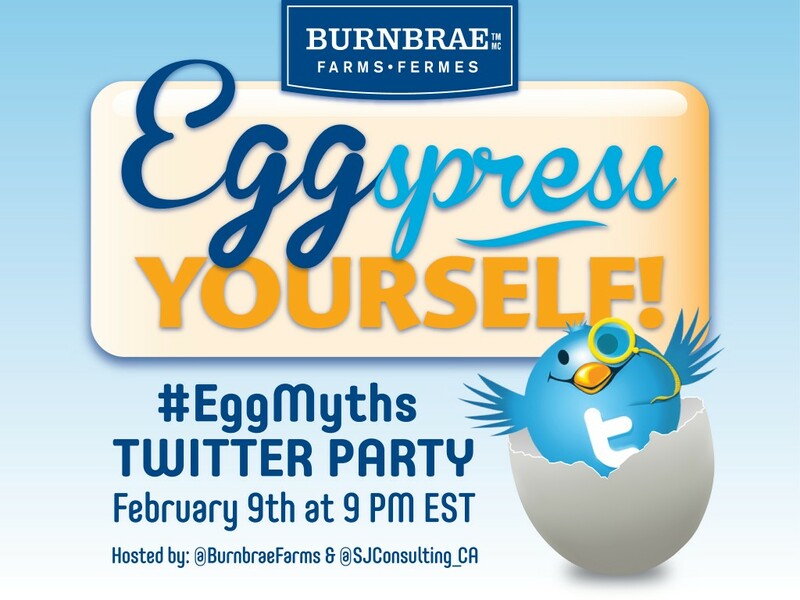 #EggMyths Twitter Party is on February 9th, 2016 at 9pm EST. Make sure you RSVP and I’ll see you there! 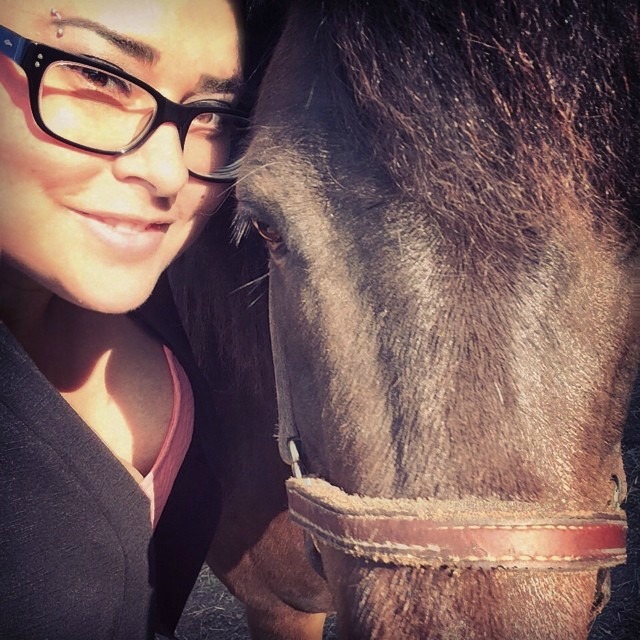 $250 spa gift card for a fabulous day at the spa. Burnbrae Farms gift baskets with $50 Visa gift card for groceries. All of this talk about eggs has me hungry! Check out these Butterscotch Brownies, they are a Hudson family favorite and I can totally see why! Moist, sweet and chewy! Of course, you can only get this form of perfection with eggs! You can find this recipe and tons more on the Burnbrae Farms Recipe Nest. 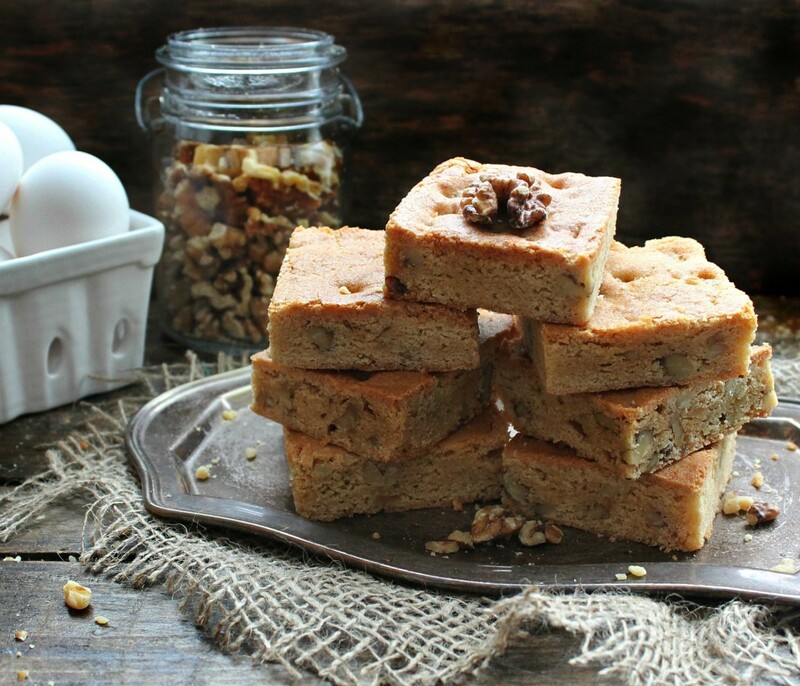 Make sure you visit the Burnbrae Farms Recipe Nest for full instructions for these delicious Butterscotch Brownies. If you want the latest updates and everything to do with eggs, visit them on Facebook: Burnbrae Farms, Twitter: @BurnbraeFarms, Instagram: @BurnbraeFarms, Pinterest: BurnbraeFarms and YouTube: BurnbraeFarms. So, what are some egg myths that you’ve heard? Let me know, til then—cheers m’deres! 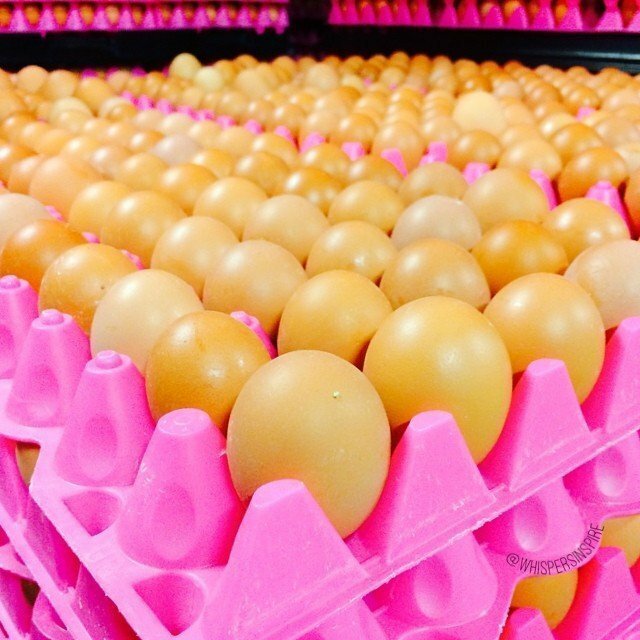 Burnbrae Farms is proud to offer a variety of egg types to meet consumer preferences. Whether conventional white, Free Run, organic or nutritionally-enriched eggs, our focus is on producing affordable, nutritious, wholesome eggs. This sounds like it's going to be a great Twitter Party. Eggs can be tricky if you don't know what you're looking for. Pro tip: bad eggs are disgusting. I have to agree, it is good they can last long after their expiry date though. I love butterscotch and brownies but have never had butterscotch brownies! Need to try ASAP! We've thought a little about adding some chickens to our back barnlot. I love being connected to our food and chickens with eggs is a great next step! Definitely great to bust these myths! I have never had butterscotch brownies before!! They sound amazing!! Great twitter party sounds like a good party with great suprises! Wow! I did not know half of this stuff about eggs! I will definitely be trying to make it to this Twitter Party! My recent post The Myfox security camera gives you peace of mind! It's crazy to hear about all these myths. I personally already knew about them, but I'm sure a lot of people didn't. We have 15 of our own chickens and keep the eggs. Fresh eggs are the best! I'm not sure why, but I have a hard time bringing myself to eat the brown eggs! I guess it's because we grew up eating white eggs. Maybe one day! They are the same though but, it is all preference! This will be a great Twitter party. I will have to try to make it. I did not know a few of these were myths. These are such popular myths about eggs. I love to start my day with a couple eggs and toast. This is some eggcalent info, Some of these myth i went by for the longest. Thank you. That looks like a fun conversation! I wish I could attend more Twitter parties, they are such fun! Eggs are such a staple in our home. I eat them every single day for lunch with my son. It is a great way to get a quick and warm meal in. SO very true, they are favorite here too. This sounds like a fun twitter party. I've got to try that recipe. My husband and son eat a couple just about every day. Eggs had a pretty bad reputation for a while – I kept eating them anyway, so I'm happy to hear they are healthy.